Nollywood actor, Kenneth Okonkwo while speaking with a political group said Nigerians can’t get a better person to lead the Nation, except for President Buhari. He then called on has therefore called on people of the nation’s south-east to support the president’s re-election or have their hope of leading the nation dashed. 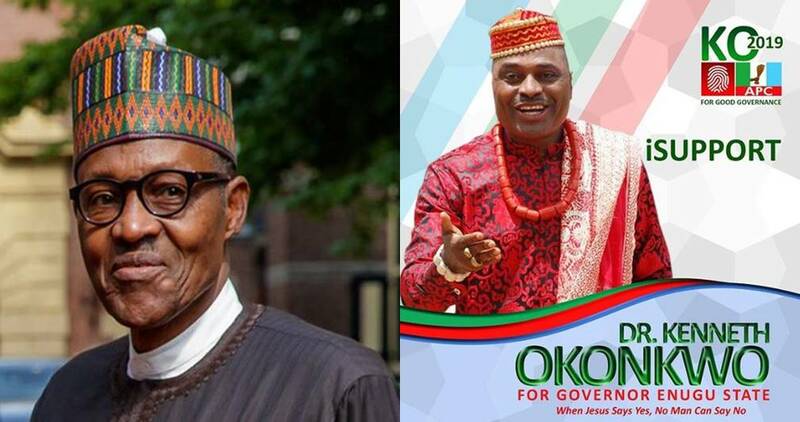 Kenneth Okonkwo is making good his plans of becoming the next governor of Enugu start by officially unveiling his governorship posters. <“Without God, I can do nothing but with Him, I can do all things because He strengthens me. Join the winning team. By the grace of God, I am the next Governor of Enugu State,” he wrote.